We are a custom bike tour company, locally owned, and we believe the best way to experience our friendly town is through the eyes of a local guide, on a lightweight, comfortable bicycle. You will help create your itinerary based on what interests you the most: sightseeing, history, museums, galleries, shopping, restaurants, or maybe photo shoots. You decide with your guide. At a relaxing and spontaneous pace, you will explore off-the-beaten-path, with no more than 1-4 riders in a group. 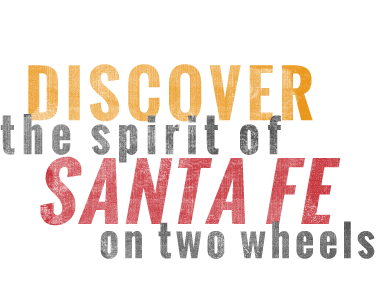 We are committed to making your Santa Fe Biking Tour one of the most memorable experiences of your visit to Santa Fe.